When was the last time you jumped rope? If it's been a while, I suggest you go now and do it, right now. 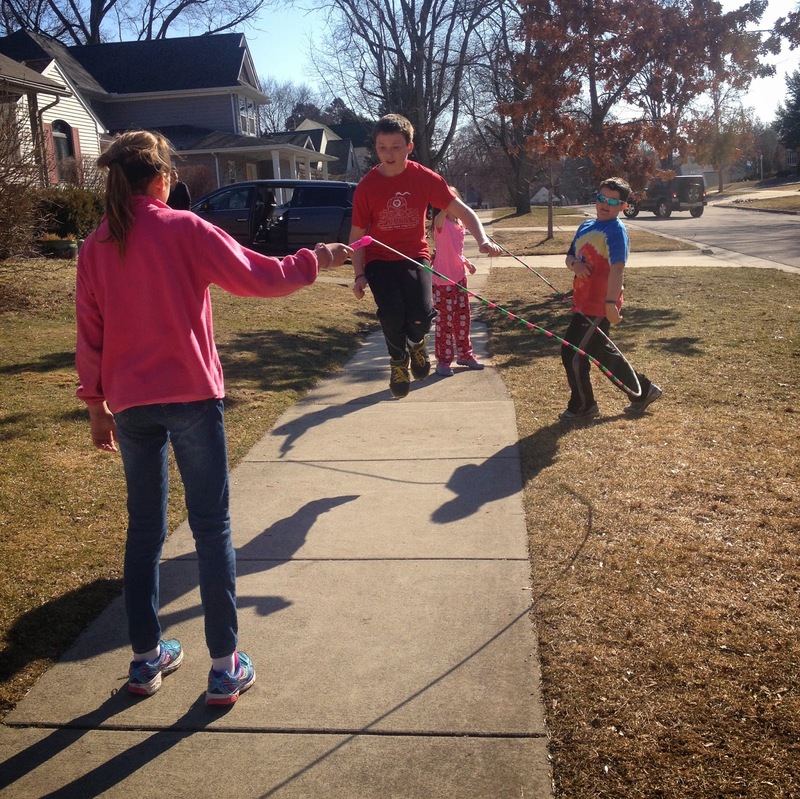 On a whim, last Thursday I bought a giant jump rope for the kids (for only $4) to play with on spring break. Sure, some families go on a tropical vacation for the week and I buy a jump rope, I know. No one was super excited at first. But then, we started jumping and it was so ridiculously fun. Maybe I needed some silly fun that reminded me of being a kid myself. Something that was fun, had rhythm and got my heart rate pumping. Jumping rope is a little like dancing and I love it. A million years ago, when I was in Mr. McKee's fourth grade class we did a lot of jumping rope. Every day before school started we all had to jump to 100. Physical activity was woven in throughout the day in his class. It was quite possibly the best year I ever had in school. My brain worked better when I was moving. Thirty years later and I'm still that way. Moving makes me happier, calmer and smarter. That's why I run, and dance, and now jump rope. If I don't move, I feel anxious. I worry more and have trouble concentrating. Not sure if my kids are smarter because they are spending their spring break jumping rope, but I know they are having fun. I ended up going out and buying the kids each their own jump rope. We are hoping to be doing double dutch by the end of the week. 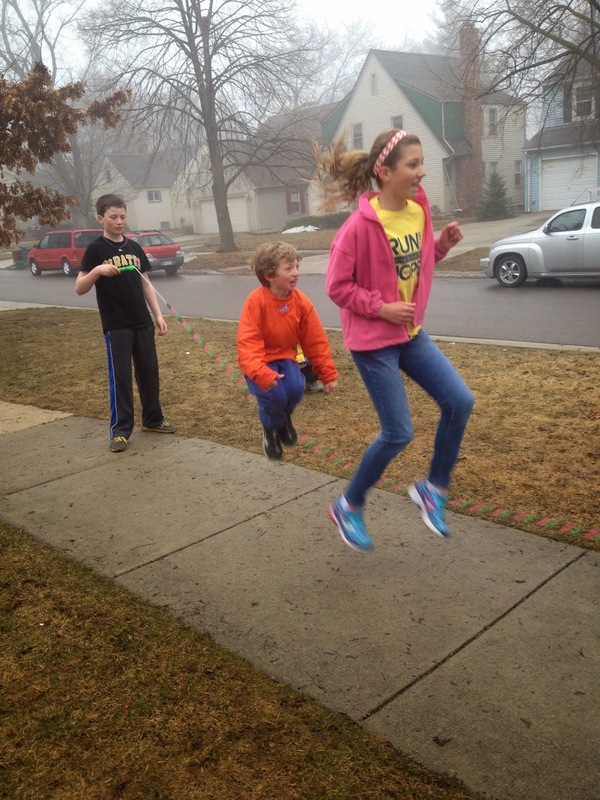 Check out our jump rope fun with our cousins that were visiting last weekend. Here's another fun video. The Pointer Sisters! I used to mimic their album cover poses in the mirror with my sister, I love those Pointer Sisters. And this particular song was out when I was in Mr. McKee's class and it's about jumping, I mean I had to include it here. Enjoy! 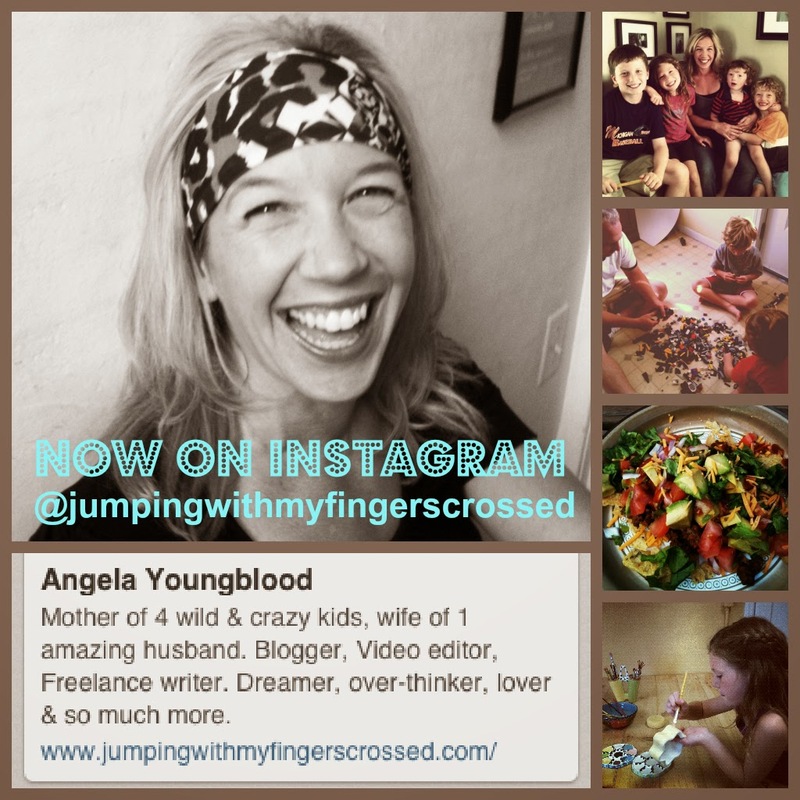 Angela (my LTYM co-producer & iPPP co-host-er) and I want to see your funny, your yummy, your heartfelt, your favorite phone photos (or videos) of the week. Of course, it doesn't have to be from an iPhone. All you need is a blog post containing at least one photo from any phone camera. Link up below and don't forget to visit some of the others! You guys have such fun! I love the hair flying up that was captured. Makes me thing YOUNG. Great pics. Jumping rope is SO much fun. I've found that skip-ropes are great for treat bags at birthday parties too. I am particularly interested in how your teacher encouraged you to jump role during class. This is interesting, because there is a criticism that school isn't good for boys who need that kind of movement to learn and pay attention. Jumping rope is SO much fun, and a lot of hard work!! My older two have been jumping rope (jump roping?) in PE and they love to talk about it....Ivy loves to do it in the living room. She's quite the jump roper. Angela... If I tried to jump rope I would hurt myself. My knees are no longer made for jumping. How sad is that? Oh this brings back so many memories. I used to make my own jumping rope by joining elastic bands. Great fun!